Description Mounted on embossed matboard. 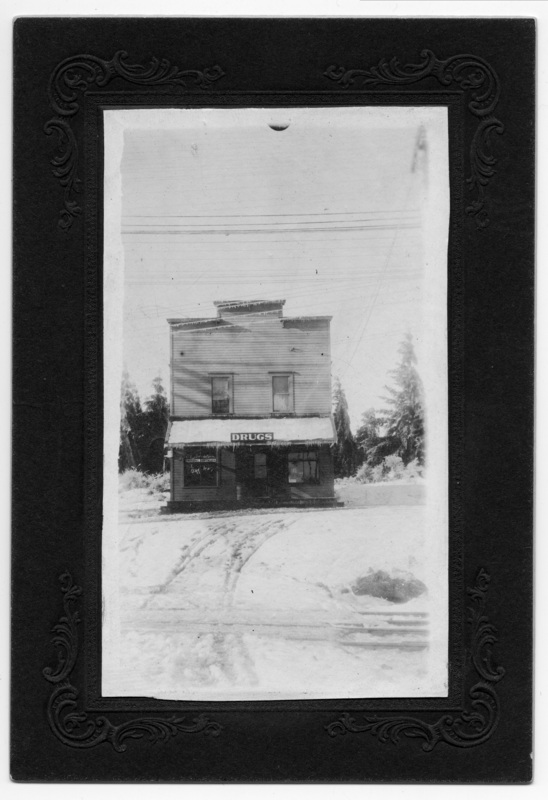 [Signs on building]: Drugs; E.L. Davidson; Druggist-Optician; Ice Cream Today. The proprietor was Edgar L. Davidson.